maybe we should have set our sights on Pontiac. Hooray for the red, white and liquid blue! 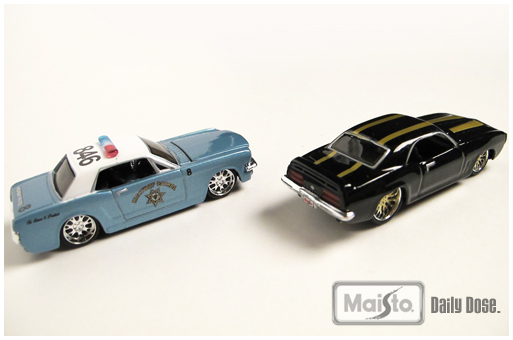 July 4 is Independence Day in the good ol’ U. S. of A. so here’s a shot of some 1:64 Maisto ProRodz die-cast cars from the three big American manufacturers. At the left is a 1967 Ford Mustang GT, in the middle is a 1941 Willys (later to be owned by Chrysler) and on the right is a 1969 Pontiac Firebird. 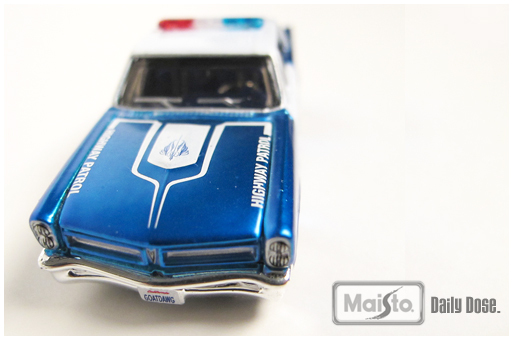 Customized die-cast — what have you got? 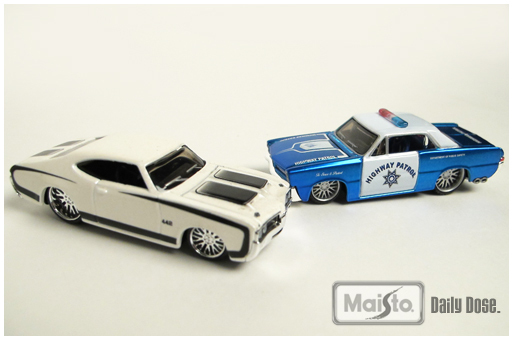 Although most die-cast collectors display their models right out of the box, there are a few who make some modifications. 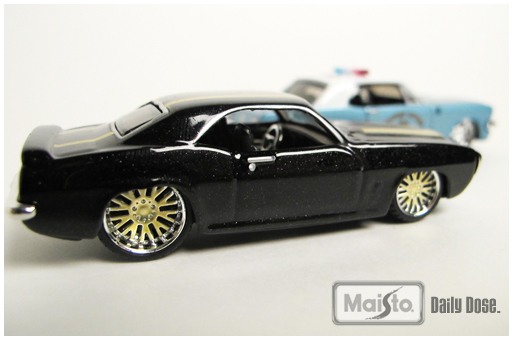 Often, it’s just the addition of some detail painting or swapping of wheels and tires. Still, there are some who make more signficant mods. Here’s one I built a few years ago. 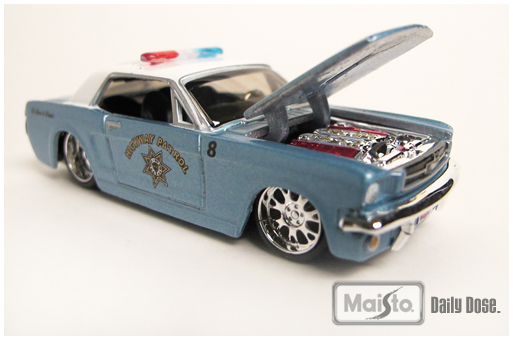 It’s a 1:18 scale Maisto 1965 Pontiac GTO. The wheel openings were moved forward like on a ’60s A/FX funny car and the suspension, seats, wheels and tires are from the Maisto Chevrolet SSR Concept. 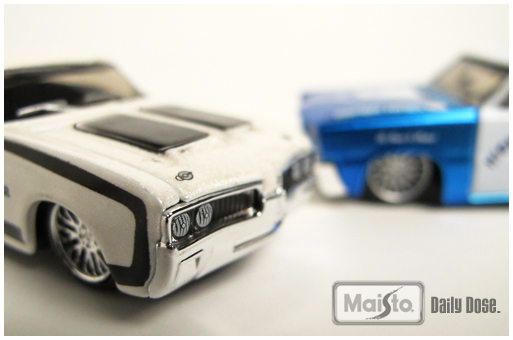 Send us photos of your modded Maisto die-casts of any scale and we might post them.